Chris Moorman is a professional poker player who was born in 1985 in Brighton, England. Mr. Moorman is best known for his impeccable online poker playing skills. He is ranked number one for the all time leader in online poker revenue. Mr. Morman attend the University of Essex, which is where he began to play poker with under one hundred dollars. Can you imagine someone who started out with such a small amount of money playing poker and turning it into over five million dollars? Chirs Moorman is the real deal, we started with less than one hundred dollars allegedly playing free roll tournaments. After winning and building his cash up he began to play medium stakes games. Once Mr. Moorman was comfortable playing in medium stakes poker games, he set his eyes on poker tournaments. Unlike the most players, Mr. Moorman plays online and offline poker and won in excess of five million dollars playing in online poker torunaments. Mr. Moorman played in seven World Series of Poker Events up until now, however he has not broken his extraordinary record of five million dollars. Bluff magazine featured Mr Moorman as the fourth ranked online poker player of the year in 2010. Since then he has accomplished a great deal of wins, from playing in the Full Tilt Poker Torurnaments, to many others. Many of the best online poker review sites say that he has won over two hundred thousand dollars in a Full Tilt Poker Tournament. 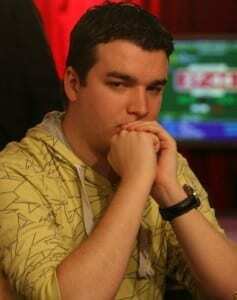 Chris Moorman plays online poker almost every day and is known for his aggressive nature. He also holds the sixth time P5′s Triple Crown Winner. In 2011 we won the World Series of Poker Europe main event and finished in second place.